Our company has been providing bat removal in New Albany, Indiana for over 20 years. We are experienced and fully insured to perform any bat removal service imaginable. We can remove small or large bat colonies from residential and commercial properties at a fair and competitive price. Call us at 502-553-7622 for a free estimate on our bat removal services in New Albany, Indiana. We can help remove bats in the attic in New Albany, IN. 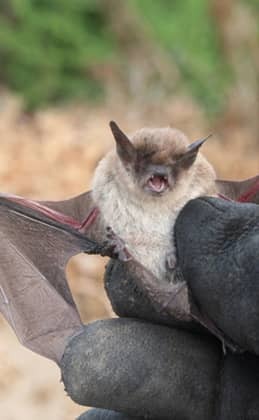 We specialize in bat removal in residential and commercial properties. Our company is fully insured in Kentucky. We want to help control bats from entering and nesting in your home. Call us today at 502-553-7622 to discuss what to do if you have bats in the attic in New Albany, IN.